The English Landscape style has a naturalistic and eclectic feel to it. 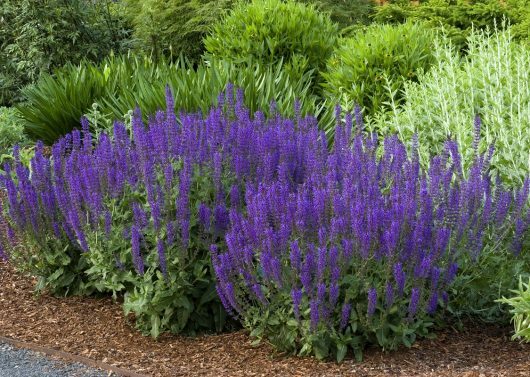 Using colorful perennials, mixed plant borders, and gravel pathways, this style creates an organic flow in the garden. It is inspired by paintings by artists like Poussin and Lorrain and was a reaction to the more formal gardens that preceded them. English Landscape style gardens tend to use groupings of trees and plants, water features such as ponds, and some topiary as well. 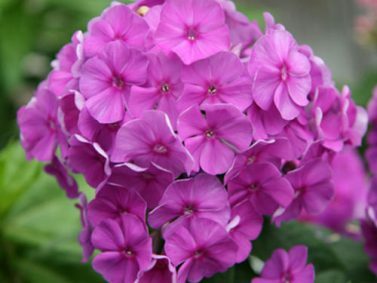 Phlox (Phlox paniculata)– This herbaceous perennial has clusters of flowers in shades of pink, purple, blue, red, and white in midsummer and is a very common plant found in English Cottage gardens. 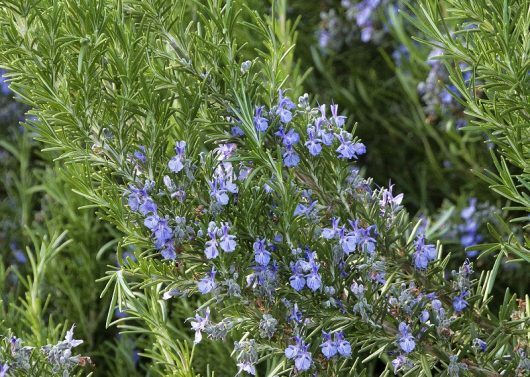 These plants will do their best in full sun and regular watering and should be deadheaded to encourage continuous blooming. Echinacea- these colorful blooms come in so many different colors that you definitely won’t run out of options for how you use them. 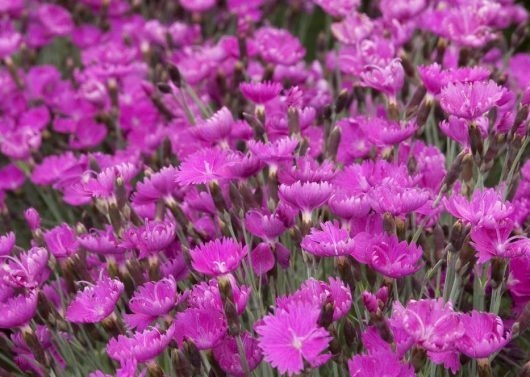 They are also easy to grow and maintain since they are drought tolerant once established. 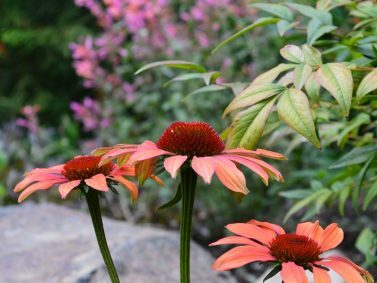 Echinacea prefers full sun and starts blooming in summer and will continue through early fall. 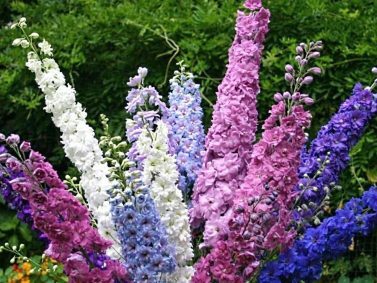 Delphinium- If you’re looking for height and color, this is a good option. The flower stalks can grow anywhere from 2 to 6 feet in height depending on the variety and can support 10, 20, 30, or more flower florets per stem. Talk about a show stopper! 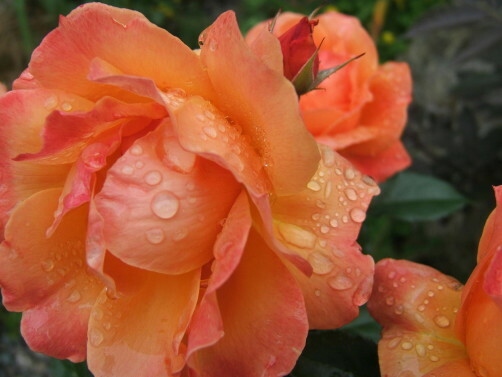 They like full sun best and needs regular watering especially in extreme heat spells and will bloom throughout summer. Peony- Peonies bloom in mid to late spring and come in various colors from white to yellow to pink to deep reds and many in between. 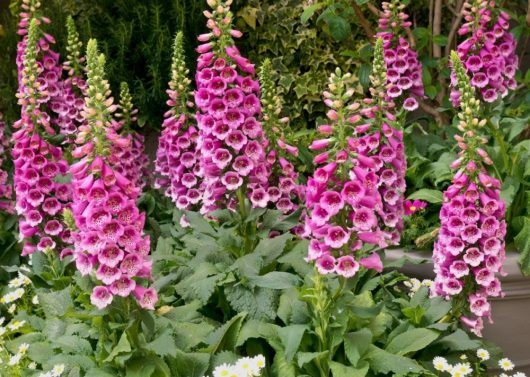 If you’re looking for big blooms for your English Cottage garden, these will fit right in. 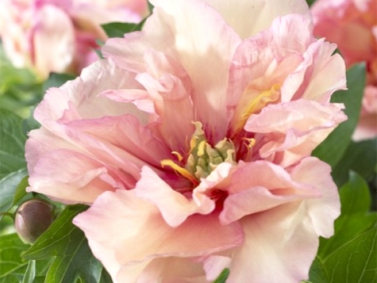 Peonies like to be placed in full sun and need to be watered regularly. These other perennials are also often found in English Cottage gardens but of course this isn’t an exhaustive list. 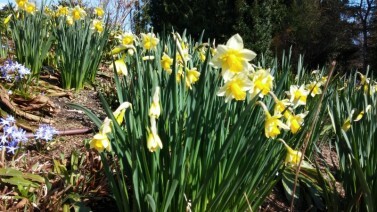 Daffodils- The cheery yellow flowers sure are a welcome sight after long winters. You can also find daffodils with white or orange tones to suit your taste. 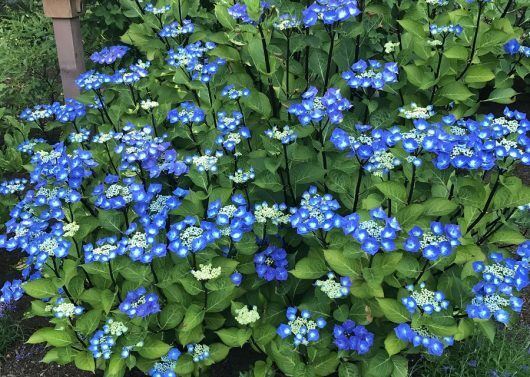 You’ll want to plant them in September/October or at least by November before the ground freezes. Iris- While Irises can be a bit fussy with their growing conditions, with a little extra care, you can grow these beauties in your own garden. 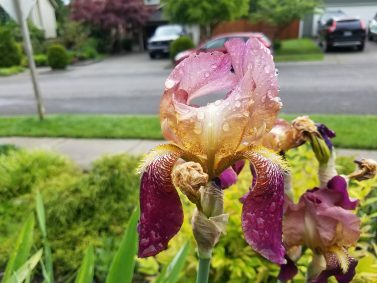 They come in a ton of different colors and there are even some that have evergreen foliage in our area (Pacific Coast Iris). You can read more about the different kinds of Iris’ here. Plant Iris bulbs around the same time as you would plant Daffodils. Hyacinth- You can find Hyacinths that come in all colors of the rainbow and are one of the easier spring blooming bulbs to grow. 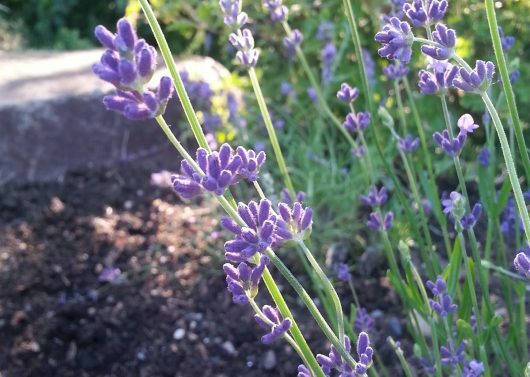 Their sweet fragrance attracts not just humans, but butterflies as well and the blooms work well along borders and as cut flowers due to their unique stalk of flowers. 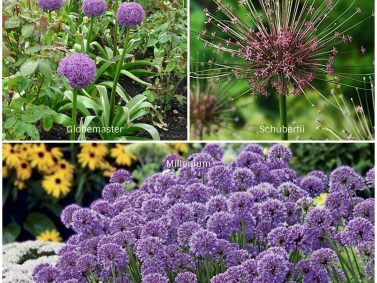 Allium- These globe-like flowers add a touch of whimsy to the English Cottage garden and bloom a little later than Daffodils, Iris’, and Hyacinth’s which will give you a good variety in your garden. 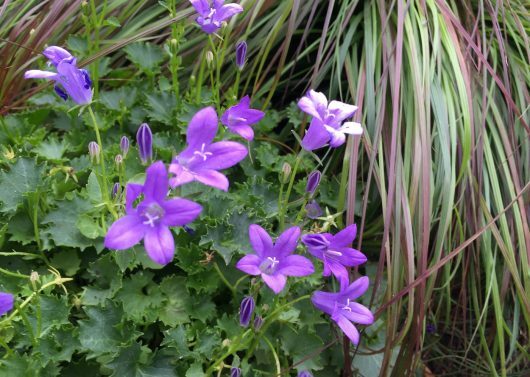 You can get different varieties each with tall stems topped small golf ball sized blooms all the way up to volleyball sized flowers. 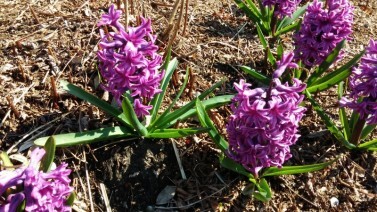 Even though they bloom later, Allium bulbs can still be planted with the other earlier blooming bulbs. Forsythia- Nothing quite says spring like Forsythia’s do. Their bright golden yellow flowers bloom on bare wood in late winter/early spring. 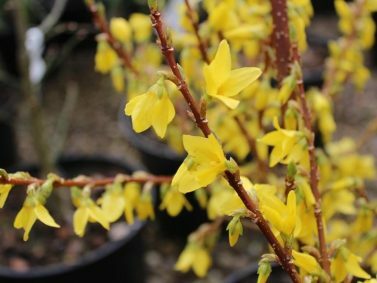 While Forsythia’s are sometimes known to outgrow their space and welcome, you can find ones that have a more compact growing habit. This is true of the Fiesta Forsythia. Not only will you get a showy spring, but the foliage is variegated with creamy yellow and darker green on the margins. 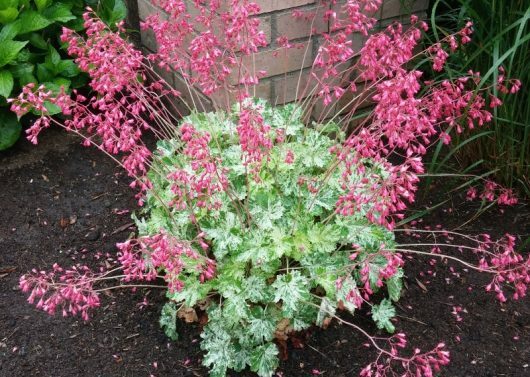 Stems also have a reddish tinge which is nice to see in the winter before it blooms. Forsythias are very adaptable to soil conditions and likes to be watered regularly. For the best flowering, place in full sun. 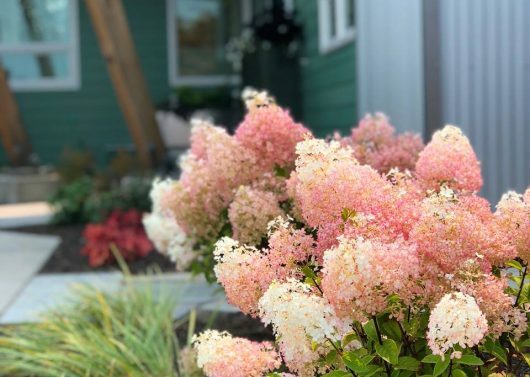 Lilacs (Syringa)– Depending on which variety of Lilac you like and what your space looks like, you could place this in the shrub or tree category. The Ivory Silk Lilac (white flowers) and Charles Joly Lilac (deep purple) are deciduous trees with fragrant flower clusters in spring. 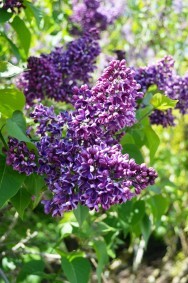 Others like the Tiny Dancer Lilac and Miss Kim Lilac are compact shrubs with purple to white fragrant flowers clusters. Lilacs like partial to full sun and need to be watered regularly especially in times of intense heat. 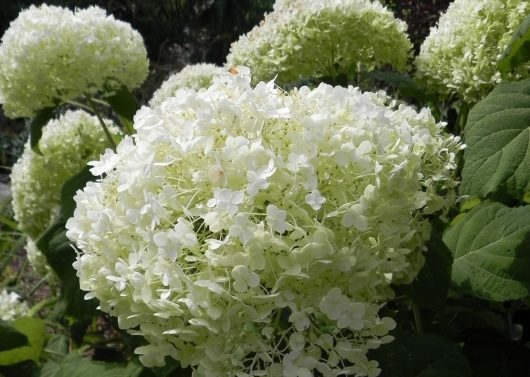 Hydrangea- Whether you have a sunny, shady, dry, or moist spot, there’s bound to be a Hydrangea that will fit in. 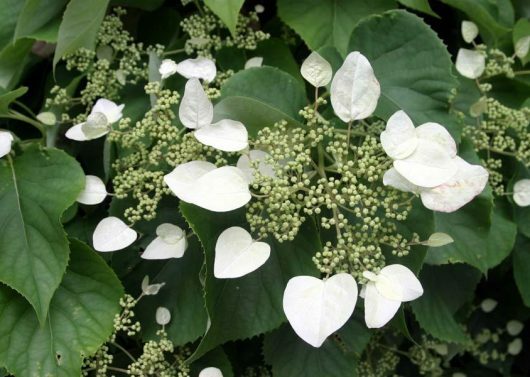 There’s Panicle Hydrangeas (paniculata- good for sunny, drier conditions), Big Leaf Hydrangeas (macrophylla- these ones may change colors depending on acidity of your soil), Oakleaf Hydrangeas (quercifolia- great fall foliage coloring and peeling bark in winter), Climbing Hydrangeas (anomala- deciduous vines), and some of the more unusual ones like aspera (greenish-purple new growth) and arbroescense ‘Annabelle’ (large flowers, sometimes 10-12’ across). 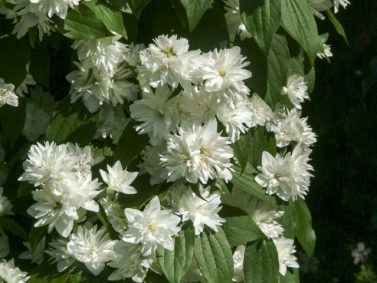 Mock Orange (Philadelphus)- This lightly citrus scented shrub should be placed near an entry or along a path so you’ll always be able to smell it throughout its bloom time in spring or summer depending on which kind you get. 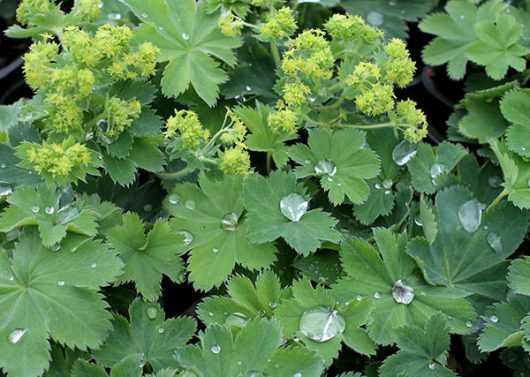 Even when it’s not in bloom, the rich green foliage will be welcome in the garden. 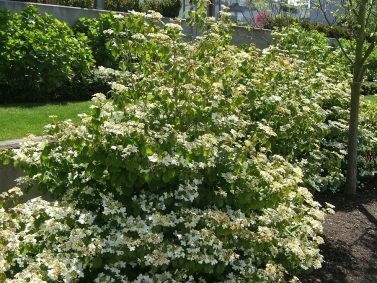 Place Mock Orange in full sun and water regularly. 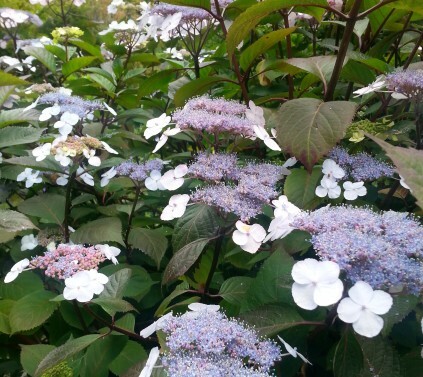 Viburnum- Like Hydrangeas, there are many different options for Viburnums both big and small but there are some stand outs that will wow you with their blooms. 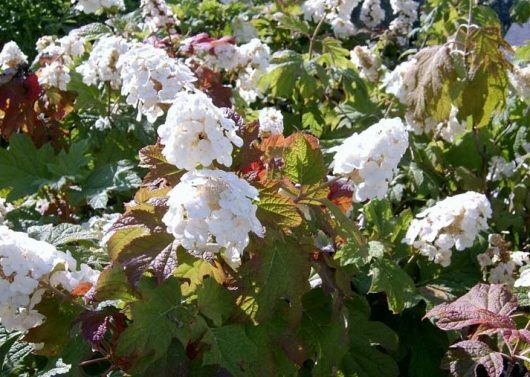 The Summer Snowflake Japanese Viburnum has a profusion of white flowers on horizontally layered branches in Spring followed by reddish fruit and then red fall coloring and the Cayuga Korean Spice Viburnum has pink buds which open to white, fragrant blooms in Spring. They handle partial to full sun well and they like to follow a regular watering schedule. Magnolia- Depending on what size of space you have, you can find large or small Magnolias. 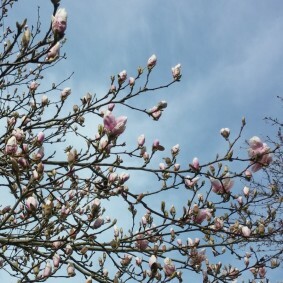 Magnolia’s can provide some shade and also large, fragrant blooms. Some like the Little Gem Dwarf Magnolia bloom in summer while others like the Black Tulip Magnolia bloom in spring when other flowers may not have popped up quite yet. Fruit Trees- Many English Cottage gardens had fruit trees because they served more than just one purpose. 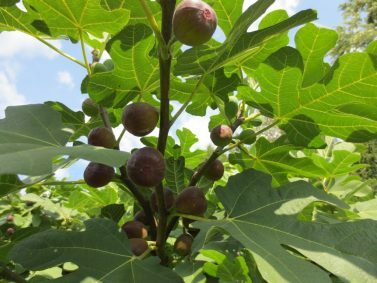 Figs, apples, and pears are some examples along with Mulberry, which can get quite large. Crape Myrtle (Laegstroemia indica)- These small trees (also considered large shrubs) have green foliage which turns shades of bright orange-red in fall. In summer it has colorful blooms and does well as a specimen tree or en masse for a bold statement. 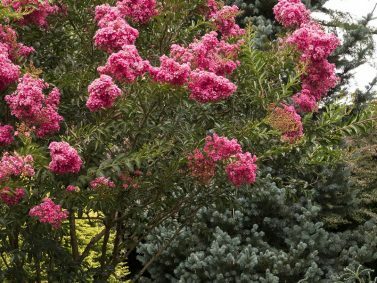 Crape Myrtles prefer full sun and regular watering. If you had, or have, a English Cottage style garden, what plants would you fill it with? 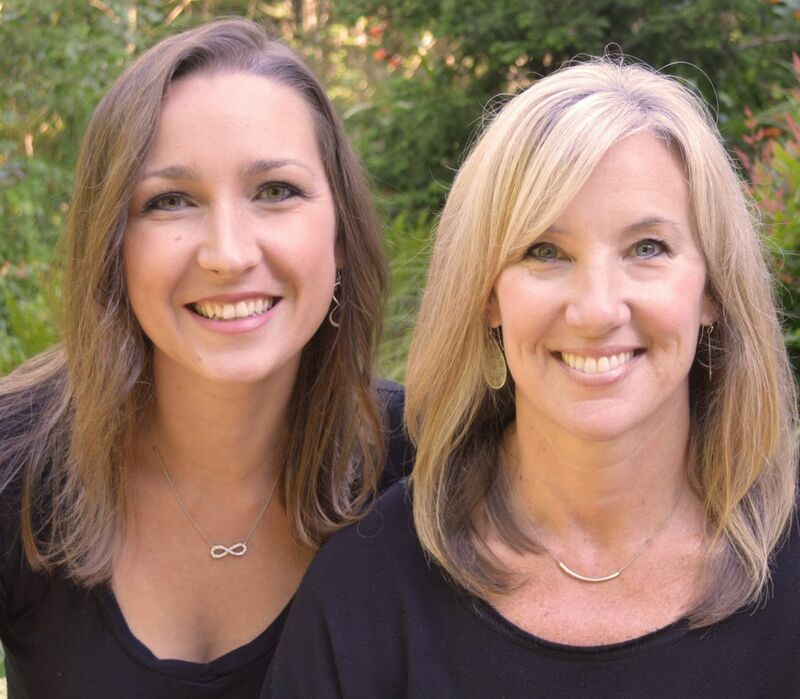 Leave us a comment, we’d love to hear from you! Organized under Buds and Blooms, Design Style, Gardens, Plants I Dig. 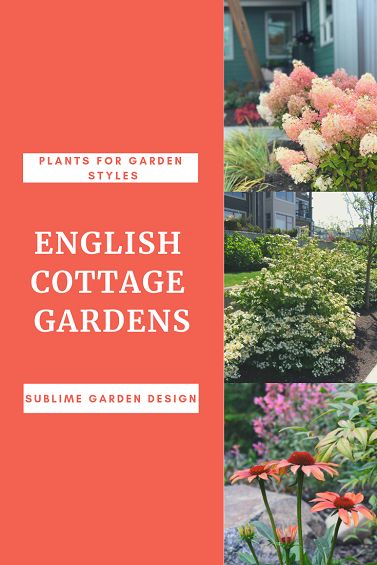 Labeled as cottage garden, english cottage garden, english garden, perennials for english cottage garden, plants for cottage garden, plants for english cottage garden, plants for english garden, shrubs for english cottage garden, spring bulbs, trees for english cottage garden.